How to fix 100% disk usage on Windows 10? 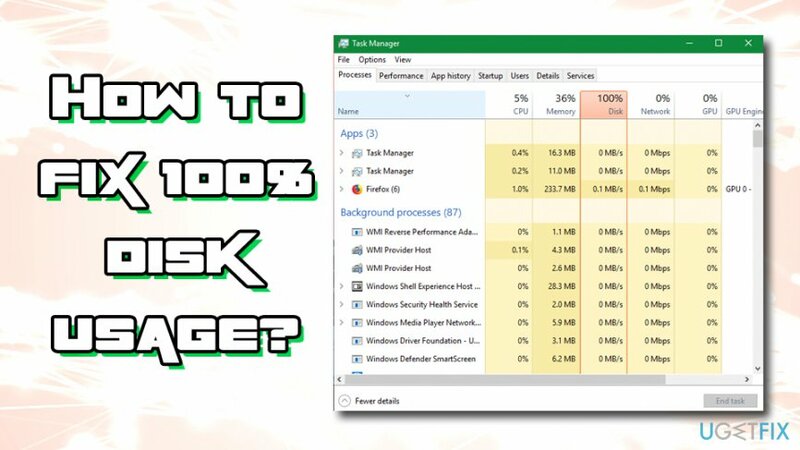 Home »	Fix » How to fix 100% disk usage on Windows 10? Issue: How to fix 100% disk usage on Windows 10? Hello. I’m having an on-going issue with disk usage. My laptop is running Windows 10. I did a clean install with the bootable media after I noticed this issue and then disk usage went back to normal. However, when I reinstalled needed apps, the disk usage shot back to 100% constantly. I went through various forums online and the only thing I’ve found out that there are hundreds of people who are struggling with obscure 100% disk usage on Windows 10. Do you have any ideas why this may be happening and what should I do to fix this? 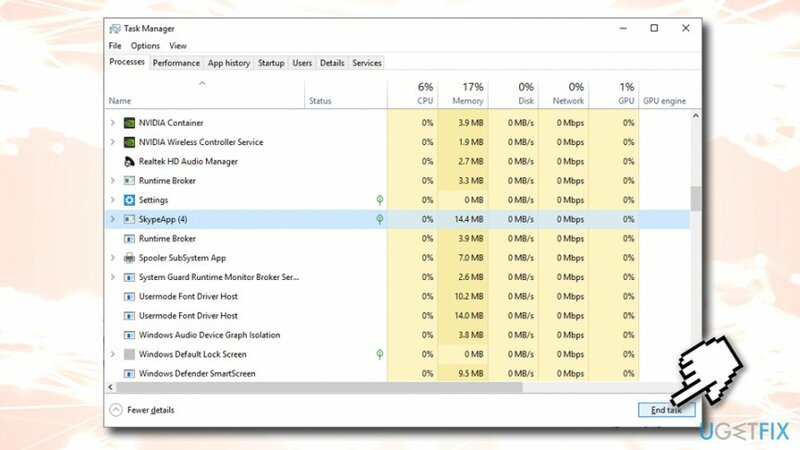 100% disk usage on Windows 10 can be attributed to many factors, including inappropriately installed software, driver malfunction, system file corruption, malware infection or even hardware failure. However, according to specialists, this issue is typically triggered by a common software combination of Google Chrome and Skype. 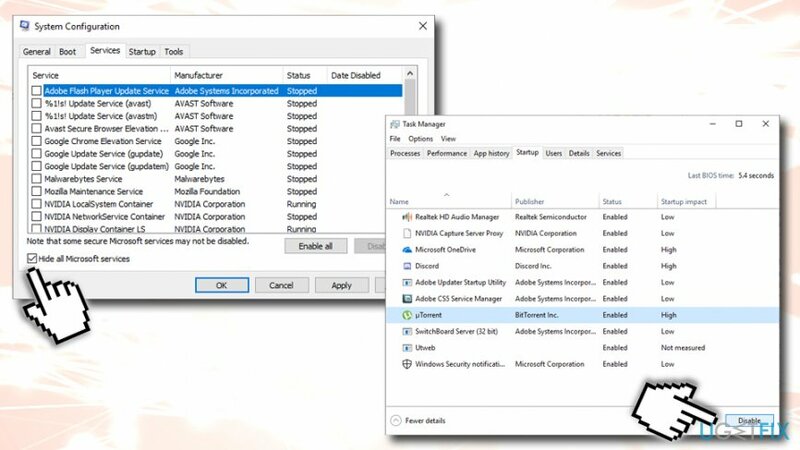 These two programs are known for sucking up memory individually, meaning that launching them at the same time might have devastating consequences, such as 100% disk usage on Windows 10, as well as serious slowdowns, freezes, and crashes. If you are not running Skype and Google Chrome simultaneously, it might be that Google Chrome alone is taking up your disk usage alone if a PC is infected by virus or malware. 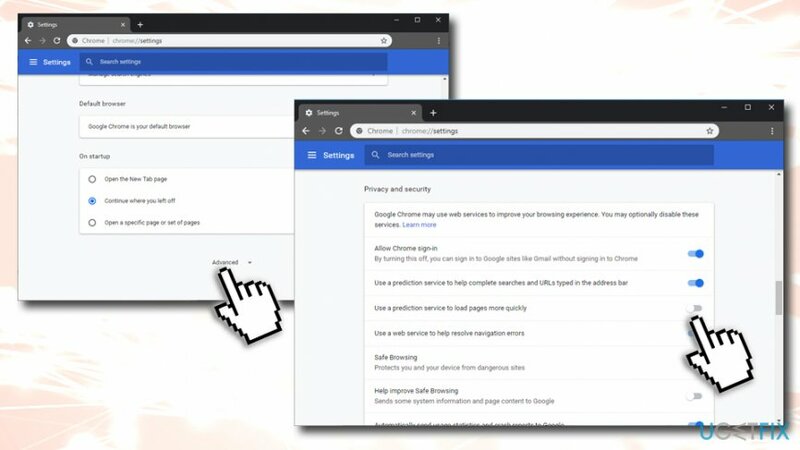 According to Chrome engineers, advanced settings on Google Chrome contain an option called “Protect you and your device from dangerous sites”. If you have this option enabled and the malware inside the system, this may root cause a high disk activity. As a matter of fact, various programs might be influencing system slowdowns and 100% disk usage, including Norton anti-virus, OneDrive, or Background Intelligent Transfer Service. Therefore, it’s very important to troubleshoot the issue and corresponding optimization methods. If you are using Google Chrome and Skype simultaneously, our recommendation would be to close one of them. Don’t forget that clicking on X button on Skype doesn’t close the application completely as it keeps running in the background. You can find out how to turn off Skype completely in this post. Furthermore, if your Google Chrome is set to “Protect you and your device from dangerous sites”, try to disable this option and run a scan with a professional anti-virus, for instance, Reimage. Virus, malware, worms, and similar threats are, needless to say, sucking up PC’s resources and generally influencing its performance in a negative way. Launch Google Chrome and open Settings by clicking on three vertical dots at the top right corner of the screen. Select Privacy and security and untick an option Use a prediction service to load pages more quickly. Press Ctrl + Shift + Esc simultaneously. In the Task Manager, locate SkypeApp and shut it down by clicking on it once and then End task. Once done, open Windows Explorer and navigate to C:\\Program Files (x86)\\Skype\\Phone\\. Right-click on Skype.exe and select Properties. Click on Security tab, select Edit, and highlight ALL APPLICATION PACKAGES. Place a check mark in the Write box. Check if the memory usage went back to normal. If it did, then you should enable applications one by one to find out which one of them is problematic. On the UAC window, click OK.
After that, check if your Windows 10 disk usage decreased to the normal level. 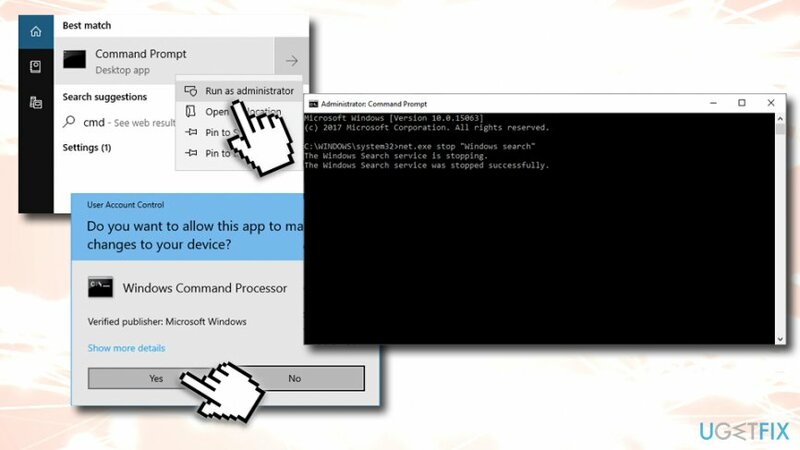 Click OK on the UAC window. 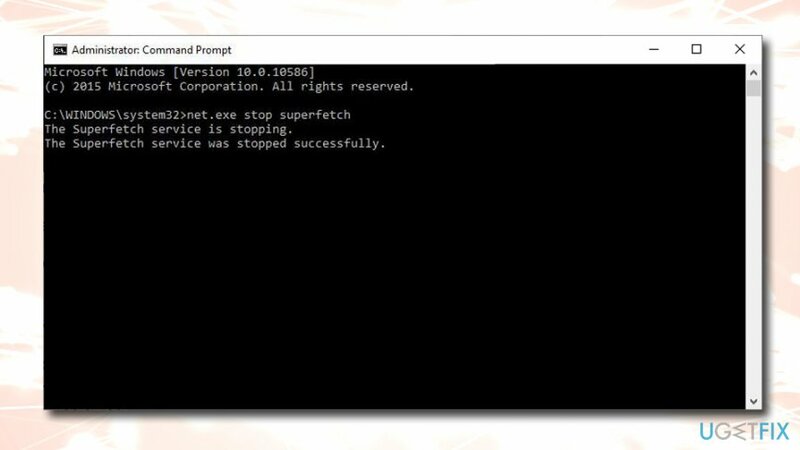 Type net.exe stop superfetch command in the log and press Enter. Disk check command can be run via Command Prompt in order to make sure your HDD is not affected by bad sectors which can result in 100% disk usage on Windows 10. Hopefully, you have adjusted some of the above-listed tips and managed to fix 100% disk usage on Windows 10. In general, the disk usage should rarely reach 100%, and, in case you tried all the methods mentioned above and nothing worked, it is likely that your hardware components are failing. ^ Disk Usage (DU). Techopedia. Where Information Technology and Business Meet. ^ Crash (computing). Wikipedia. The Free Encyclopedia. ^ Darren Allan. McAfee warns that 2019 could be the year of ‘everywhere malware’. Techradar. The source for tech buying advice.